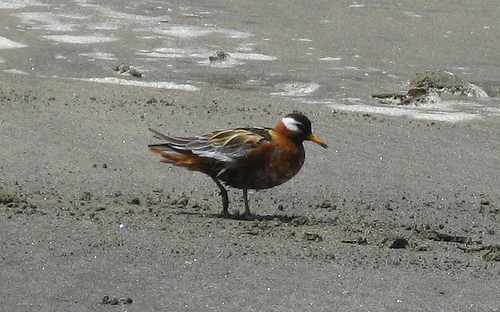 With the Red Phalarope the usual roles of male and female are reversed. So daddy incubates the eggs and cares for the young, while mommy leaves the nest soon. 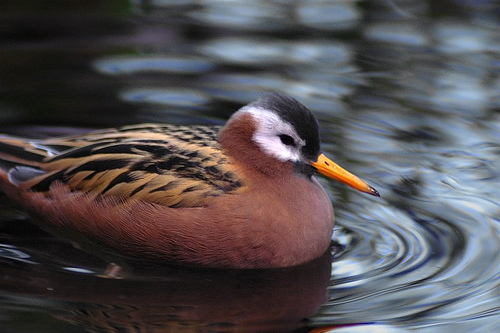 The Red-necked Phalarope visits western Europe in small numbers during the migration period.